The Johnson County Spirit Trails Coalition authorized grants administrator Randy White to write a letter to Gov. Eric Greitens to extend Rock Island Trail from Windsor to Beaufort. White said Greg Harris, Rolla, Missouri Rock Island Trail Inc. executive director, asked the group to support the 144-mile segment. Ameren offered the trail corridor to the state, White said. “But whether the (Division of State) Parks takes it or not is in question,” he said. 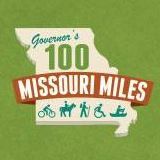 MoBikeFed comment: Please contact Governor Greitens AND the Missouri Department of Natural Resources to repond to their recent citizen survey about the Rock Island Trail State Park.